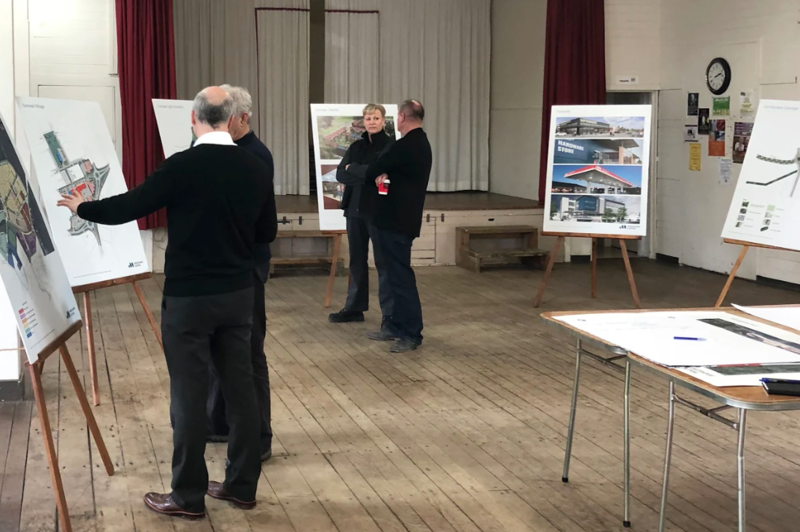 Following up from the well-attended public meeting in April, the team behind Mangawhai’s exciting new township initiated their first open workshop recently. Holding firm to their commitment to encourage residents to participate in the unfolding development of Mangawhai Central (MC), Viranda Partners Ltd held the first of a series of workshops at Mangawhai Library Hall, June 19. Residents attending the workshop became informed and gave feedback on a range of ideas including a shared path for pedestrians and cyclists, preference for a roundabout design over traffic light options and reducing speed on Molesworth Drive. MC’s design with the main street being a ‘distinct public place’ creating a destination for the community and leaving wetlands, native bush and streams untouched received favourable responses, and there was also a common view that architecture should reflect the site with a beach and village theme. Local business operators who attended expressed keen interest in leasing or buying sites along MC’s main street and industrial area, and the developmental timing of amenities including the medical centre, supermarket and the retirement village had plenty of enquires. Morley says overall the impression the MC team sensed from those who attended was one of approval for the ongoing community consultation and the sharing of designs in the early developing process. Around 150 members of the public called in to the ‘Mangawhai Central’ workshop.